Fall is synonymous with apples around here. We have two apple trees in our back yard and a local orchard about a mile away. 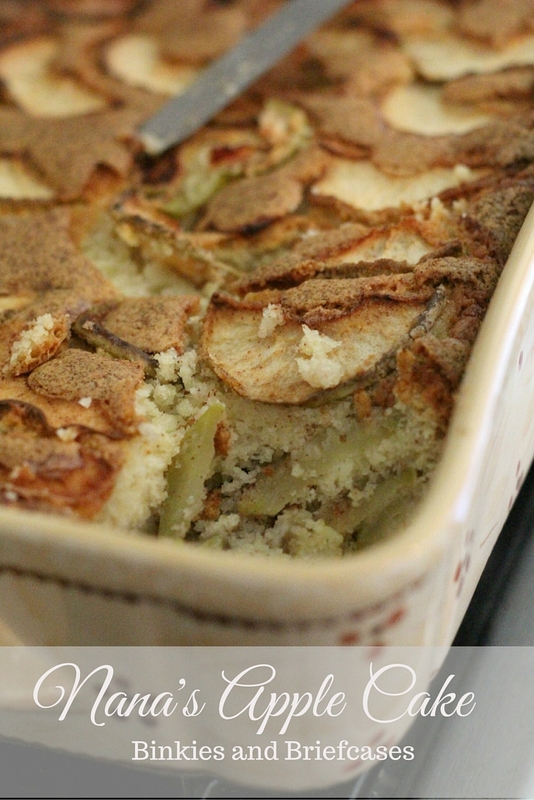 This apple cake recipe from my Mother-in-law is probably my husband’s favorite way to eat some of those apples. It’s moist, fluffy, and the cinnamon smell fills your whole kitchen with a big autumn hug. Mix together and put into a ziplock bag, shake, and set aside. In a floured and greased bundt pan pour half the batter. Add half the apple mixture. Pour remaining batter over apples, and top with the remaining apple mixture. Bake at 350 for 1 1/2 hours to 2 hours. Check with a cake tester to make sure the cake is done. Place aluminum foil around the sides of the pan to prevent burning. If you liked this recipe, don’t forget to pin it! I cannot wait to try this recipe!! Also, the pictures of the girls are gorgeous! Thanks, Mindy! I hope you do get a chance to try the cake. It really is Eddie’s favorite.